Get the credit you deserve. This Visa® credit card offers you the monthly rewards you are looking for plus no annual fee, online access, and more! 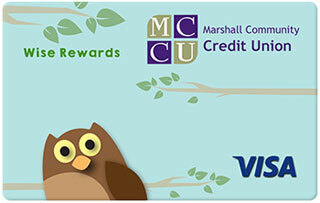 If you don't already carry an MCCU Wise Rewards Visa®, now is the time to start! Automatic 1% rebate on purchases applied each month!